This is a very cool guitar pick necklace! I used a gorgeous red guitar pick in my design. 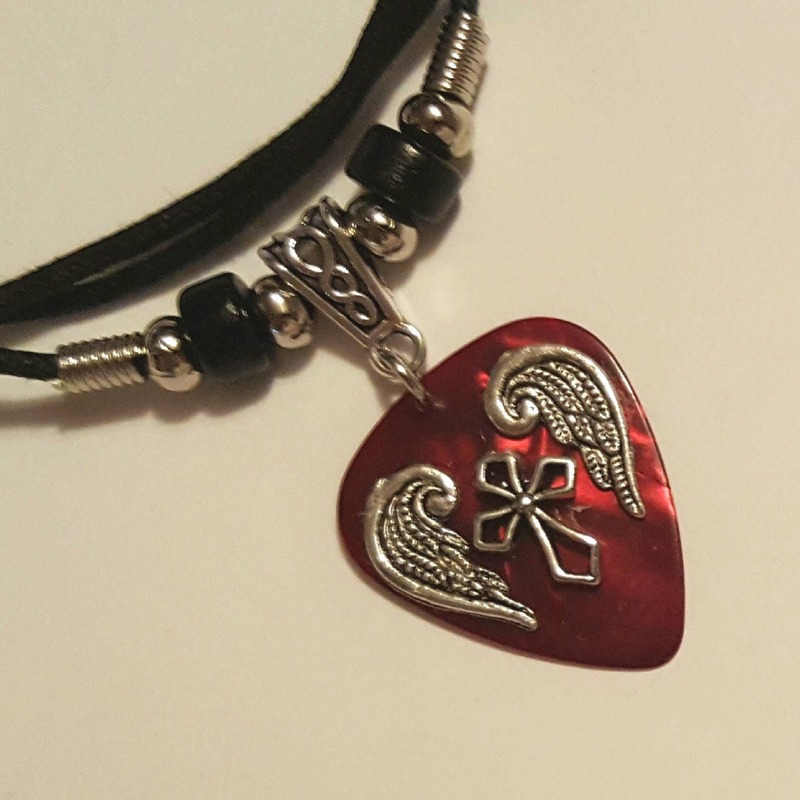 I added beautiful wings and sweet little silver cross to symbolize how music lifts your spirit.